Originally published by Investor’s Business Daily September 21, 2018. Bureaucrats are notorious sticklers. Nothing makes them cranky like when someone breaks a rule or fails to fill out paperwork (in triplicate) to their satisfaction. So you might expect government bureaucrats to be meticulous when it comes to following the rules themselves. Not so! Time and again, agencies that would throw the metaphorical book at you for a slight transgression are indifferent to the rules intended for them. Take the Congressional Review Act. This bipartisan law simply asks that federal agencies send the rules they wish to impose on us to our elected representatives in Congress before they take effect. It’s a modest requirement for agencies, but it is tremendously important to maintaining a measure of democratic accountability over the regulatory state. Yet agencies have failed to send to Congress hundreds, perhaps thousands, of controversial or critically important rules. For instance, the Department of Interior has declined, for reasons it has never explained, to submit to Congress a rule that encourages state and private efforts to recover rare species, thereby undermining the rule’s ability to incentivize conservation. That’s a problem for the Kansas Natural Resource Coalition, a nonprofit group that looks for local solutions to natural resource conflicts. They have a plan to protect and restore habitat for the lesser prairie chicken, a species being considered for protection under the Endangered Species Act. The Coalition’s plan depends on the cooperation of landowners like Ken Klemm. 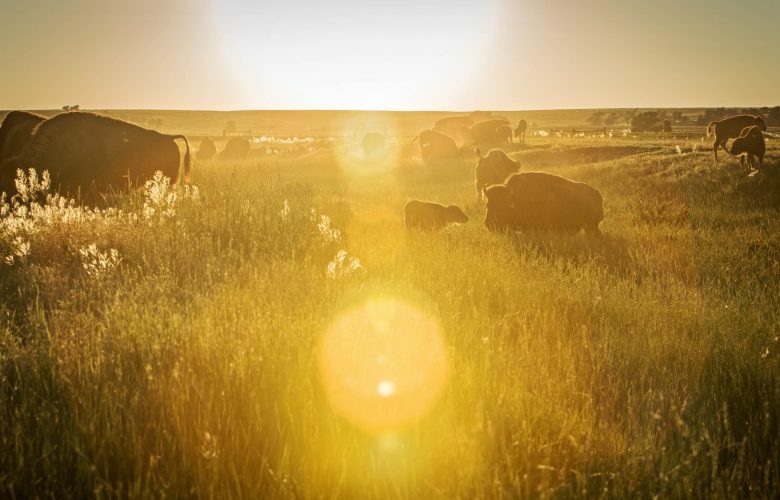 A rancher, Klemm is raising a herd of buffalo, a native species that used to roam free on the prairie. Although he’s running a business, he also values environmental stewardship. Therefore, in addition to ranching a native species, he manages his land to encourage the flourishing of other wildlife, including the lesser prairie chicken. What About The Prairie Chicken? For more landowners to follow Klemm’s lead, they must be able to depend on the federal rule to incentivize habitat restoration work. Unfortunately, the consequence of an agency violating the Congressional Review Act is that the rule cannot be in effect, and thus can’t be relied on. Kansas Natural Resource Coalition has taken the agency to court to enforce the Congressional Review Act and secure the long-term success of its conservation plan. The bureaucrats at Interior aren’t the only ones that don’t follow the rules. Other agencies ignore even the most basic rules in our republic — those enshrined in the Constitution. For decades, an obscure Food and Drug Administration (FDA) employee, rather than an officer appointed by the president and confirmed by the Senate, has been empowered to issue regulations governing our health. As with all human endeavors, agencies make mistakes, especially if there are no consequences. That’s why it’s critical that regulations be approved by a politically appointed — and accountable — officer. In 2016, the FDA employee issued a rule imposing onerous and censoring rules on vape shops. This isn’t just a question of business regulation. The anti-vaping rule makes it more difficult for people to finally quit cigarettes by switching to vaping. This harm reduction is a big reason why many enter the vaping industry. William Green of Sonora, Calif., was a heavy smoker for 30 years. His doctor warned him that he was developing emphysema because of his habit. Green’s life changed when his wife received a vaping pen from a friend. The day he tried it, he gave up cigarettes. But in his remote town outside of Yosemite National Park there were no shops where Green could acquire vaping equipment, juices, or supplies. So he founded Mountain Vapors. For Green, it wasn’t just a business opportunity — it was a chance to help other smokers to change their habits and share in his good fortune. But a 2016 FDA regulation threatens Green’s business and mission. According to that rule, vape shop owners like Green are forbidden from talking about the health-related differences between cigarettes and vaping. And this isn’t about protecting consumers from fraud. Green is forbidden from saying things that are indisputably true, like vaping’s absence of carcinogens compared to cigarettes. The Trump administration’s emphasis on regulatory reform has been welcome, but too many regulations continue to pervade every aspect of our lives. To solve this problem, it is imperative that the president and his appointees take seriously their obligation to ensure that the agencies they oversee follow the rules. For instance, President Trump should issue an executive order requiring agencies to review whether regulations have been subjected to congressional scrutiny and, if not, require their submission now. Trump should also direct that only Senate-confirmed officials may issue regulations that have the force of law. Frankly, following these simple rules is the least we could ask of the unelected, unaccountable bureaucrats that control every jot and tittle of our lives.